Amongst other wise reforms to the Environmental Protection Act, Victoria will also protect lives by bringing health expertise into the EPA, write Dr David Shearman and Dr Karen Kiang from Doctors for the Environment Australia. REFORMING GOVERNMENTS are a threatened species and most changes instituted by new governments are usually directed to reversing policy of the predecessor. Victoria has chosen the high road of reform to improve human health. Public perception about the Victorian Government’s reform of the Environmental Protection Act might be that it concerns protection of the natural environment. Indeed it does, but the most commendable reform to be introduced is to protect the health of Victorians by bringing health expertise into the EPA. In Australia, the mining and combustion of coal is a health hazard; air pollution from coal-fired power stations is responsible for a significant proportion of the 3,000 national deaths p.a. from air pollution in Australia, thousands of illnesses, and huge costs to the taxpayer. Deaths result from pollution-induced heart and lung damage, as exemplified by the recent events at Hazelwood, which have emphasised the need for environmental reforms. 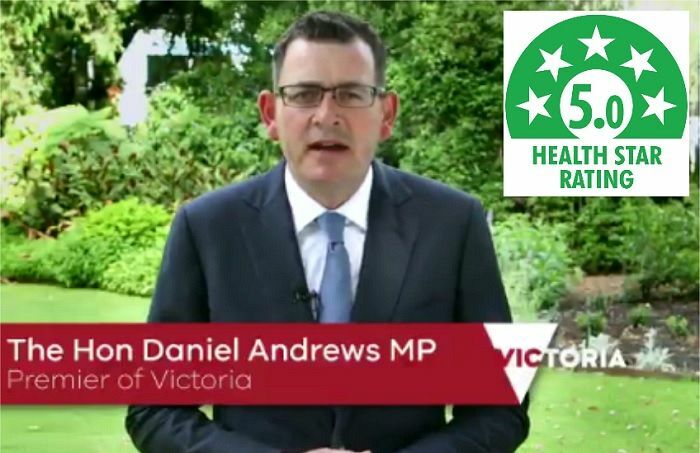 The Victorian Government has announced its commitment of $45.5 million over the next 18 months to extend the EPA’s reach, which, with its powers to prosecute breaches, will undoubtedly help to curb air-pollution. This represents a considerable injection into the organisation’s current annual operating budget of approximately $70 to $75 million and suggests a sincere desire by the Government for comprehensive reform. In other states as well, there is evidence that the health impacts of pollution have not been addressed properly. Governments act to support the coal industry, with compliant development approvals and lack of air-quality monitoring. In New South Wales, open cut mines are allowed to develop near communities. Queensland, which does not have an EPA, suffers the indictment of a clutch of cases of black-lung disease from poor regulation. The relationships and interactions between state EPAs and health departments are inadequate. The big reform in Victoria is to shift the EPA’s focus from just responding to pollution to preventing it. Preventative health measures are always better than having to treat disease. These measures were recommended by Doctors for the Environment Australia in its submission to the Victorian Government, Victoria has now established a public health team within EPA, formalised the relationship between EPA and the Victorian Department of Health and Human Services, included a health expert onto the EPA’s expanded Board, and situated the Chief Health Officer on the Board’s science, engineering and health advisory panel. A further health advance comes with the implication that the EPA will have authority to monitor and regulate greenhouse gas emissions, which will be further delineated by the Climate Change Bill currently in Parliament. In reforming the EPA, Victoria offers leadership to the other states as well as a potential model for reform. It conducted a comprehensive review of the EPA core mission, objectives, scope and powers — with the aim of creating a more progressive, responsive environmental regulator. It has recognised that current and future challenges (such as population growth, economic and technological changes, the threat of climate change) will differ significantly to those which existed when the EPA was first established in 1971. The Victorian Government has recognised that good human health is inextricably linked to a healthy environment and that any project with environmental impacts creates potential human health risks that often are not taken into account. Mining sites, road construction, and air and water pollution are all salient examples. Dr Karen Kiang is a paediatrician and a member of Doctors for the Environment Australia; Dr David Shearman AM is Honorary Secretary of Doctors for the Environment Australia.